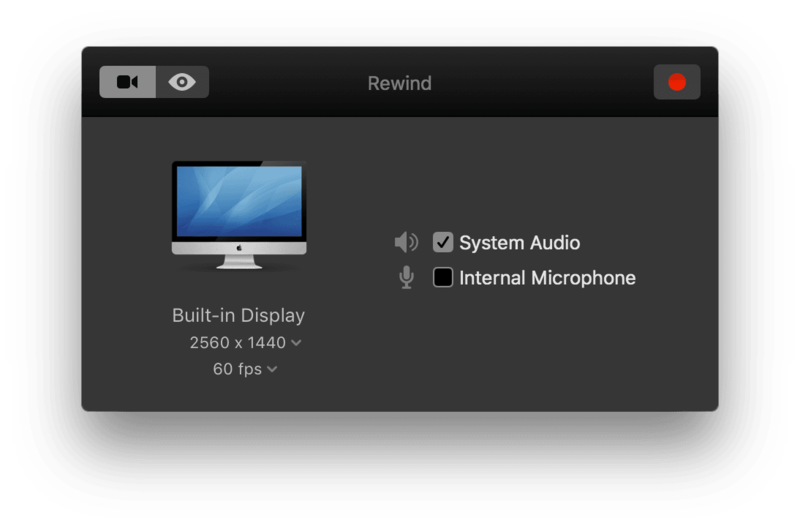 Rewind efficiently and continuously records your Mac's screen so at any moment you can rewind to see an "instant replay" movie of the last 60 seconds of what was shown on screen. Simply click Record and Rewind starts watching your screen. Choose the frame rate and video size the movies will be created with as desired. Click the Rewind button (there's also a keyboard shortcut) and instantly get a replay of your screen. No waiting for transcoding or exporting, it's just – Boom! – there. 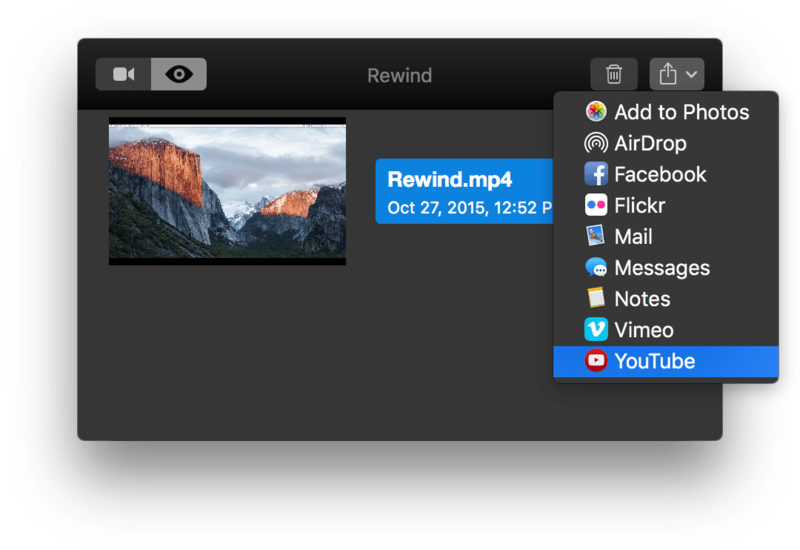 Easily take any recording Rewind saves, and share it to Facebook, Vimeo, YouTube, and more in a jiffy. Quickly go from capturing the moment to sharing with friends or collegues. After rewinding, you can open the recording, play it back, and even trim the recording down to focus on just the highlight. After trimming, sharing is just a click away. Rewind is a perfect tool for developers running into rare bugs and needing to know the steps leading up to the problem. It's also excellent for gamers who don't want to record their entire gameplay session, but if something epic happens, an instant replay is just a click away! Rewind takes advantage of the hardware-accelerated video encoding in modern (2011 and newer) Macs, to efficiently "sip" rather than "gulp" processor time. Translation: longer battery life and more performance left over for whatever you're recording. 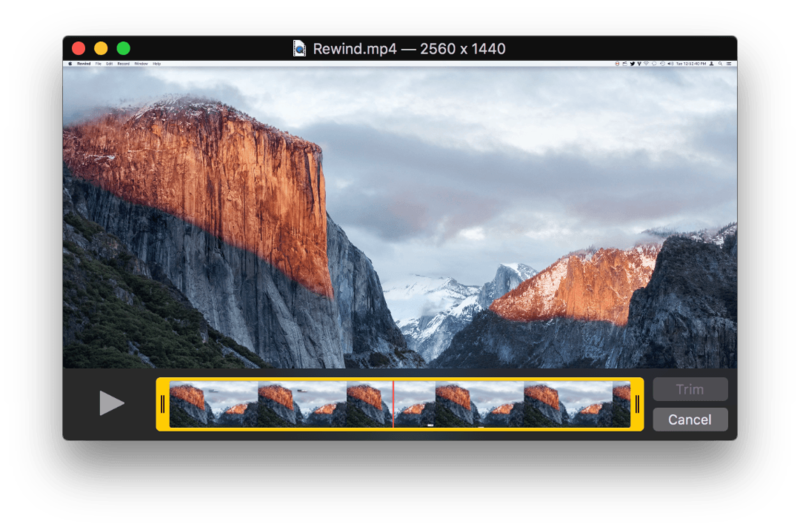 In addition to selecting the screen to record, video size, frame rate, and even system audio, and multiple other audio devices, Rewind has a variety of preferences to control its own visibility and behavior to suit your needs and liking.